The Andean Flamingo is one of six species of flamingo. Unfortunately it is also one of the rarest -- changes to their habitat over the past decades have caused the population to plummet. They are considered to be vulnerable to extinction. You can customize this gift! Move the flamingo around, change the product color or style, add text or images -- make it your own! 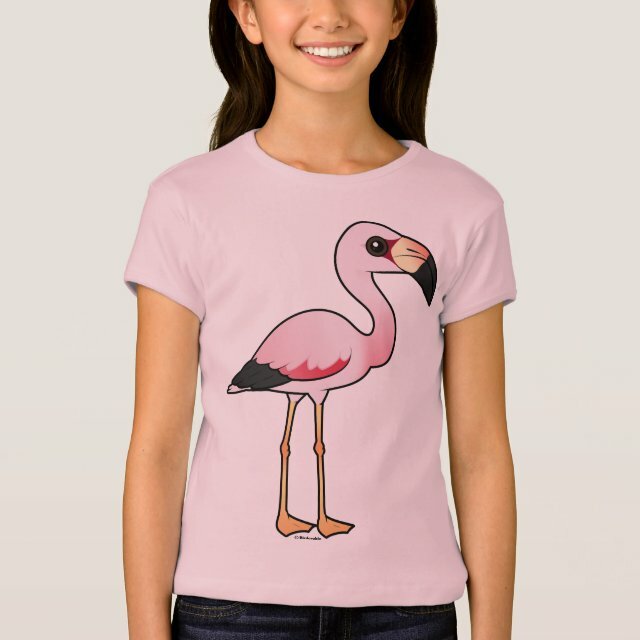 If you'd like to see the Birdorable Andean Flamingo on a different product not currently available, use the "Transfer this design" functionality via Zazzle, or send us a message and we can make the product available in our store. Feminine flair meets everyday comfort with this super-soft fitted classic girls' tee by Bella. Choose a design from our marketplace or create a one-of-a-kind look just for her.